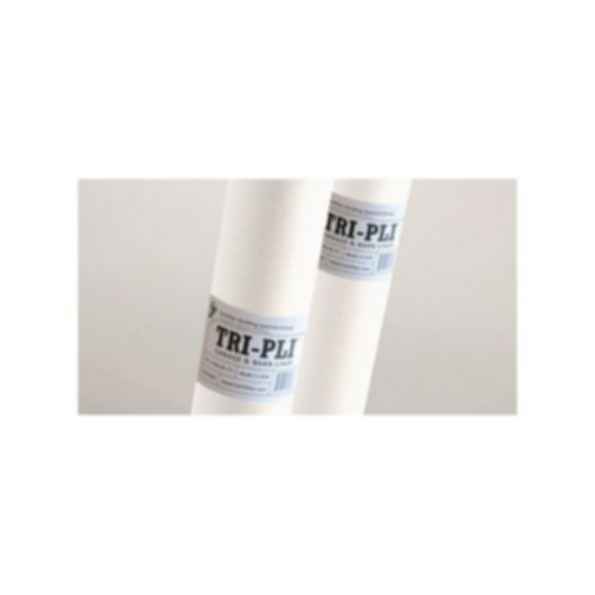 Fortifiber Tri-Pli is a highly effective vapor barrier which retards the passage of moisture or condensation by water vapor. The product is a strong, reinforced asphalt-laminated paper product extrusion-coated on both sides with white polyethylene film. The white plastic film provides an excellent light reflecting surface for a brighter, more attractive interior. Fortifiber's Tri-Pli is easy to install when following the simple instructions that are laid out in this guide. This guide is general in nature and designed with wood framed pole barns in mind.